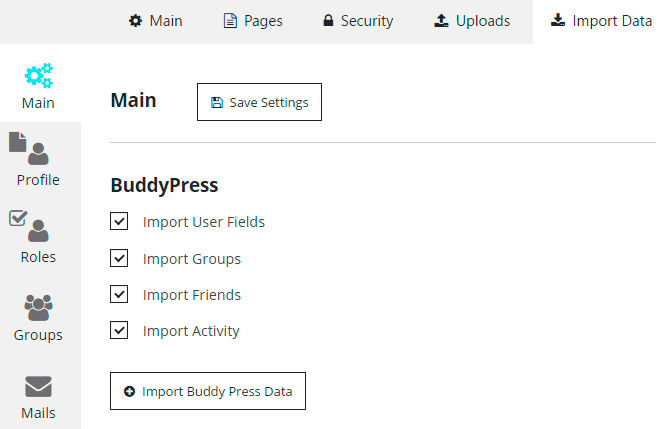 Membership Main Settings includes such sections – Main, Pages, Security, Uploads, SEO and Import Data. Let’s check each section more detail. 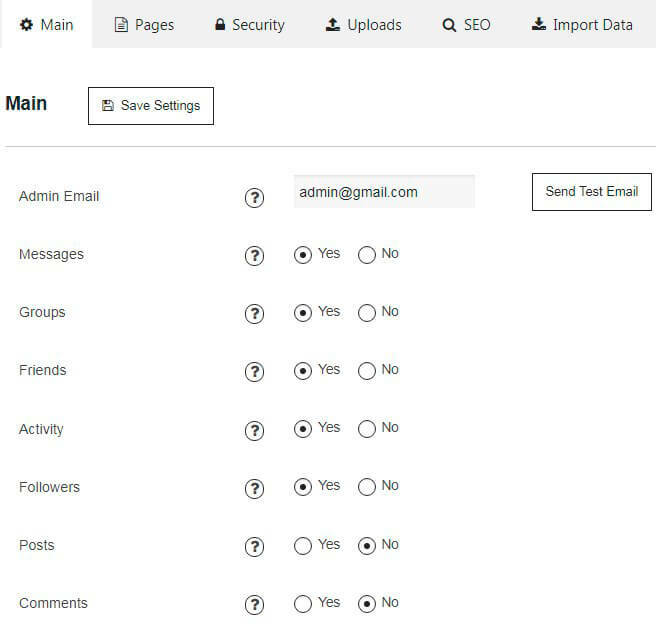 Admin Email – specify your admin email on which you will receive all notifications about your site. Also here you can send a test email. Messages, Groups, Friends, Activity, Followers, Posts, Comments – enable or disable these tabs for the Profile page. Social Network Integration (PRO) – turns on/off ability to post in other social networks simultaneously. Choose the Redirection page after such actions – Registration, Login, Logout and Account is deleted. With Pages tab you can customize page links for general Membership Directories. 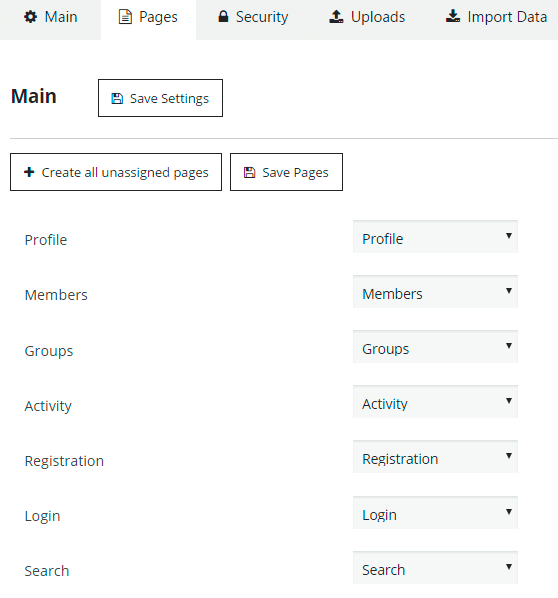 Also here you will be able to create all unassigned pages for your Membership Website. Global Site Access – make your site accessible for everyone or to logged in users. 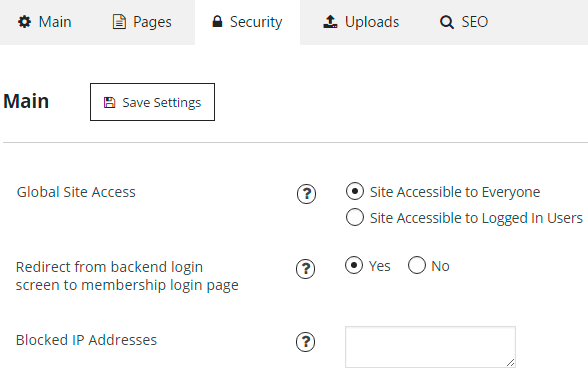 Redirect from backend login screen to membership login page – when this option is activated – users, who want to login to your website, will be redirected to Membership Login page instead of usual WordPress login form. Blocked IP Addresses list – enter IP addresses separated by comma or just leave this field blank if you don’t need to use this option. 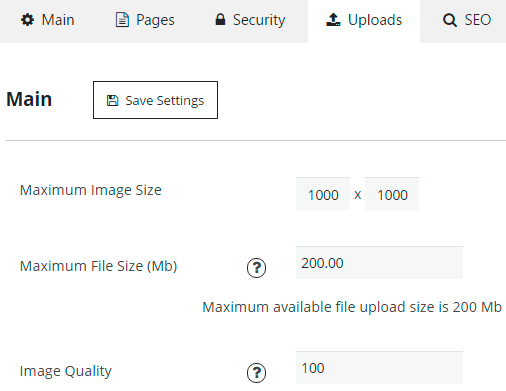 Maximum File Size (Mb) – enter the maximum size of file that can be uploaded by user in Mb. Image Quality – set the quality of images in %. The highest value is 100. User Profile Title – enter the profile title that will be defined in the browser toolbar and displayed for the page in search-engine results. User Profile Dynamic Meta Description – specify a description of User Profile page. Search engines can pick up this description to show with the results of searches. Group Title – enter the group title that will be defined in the browser toolbar and displayed for the page in search-engine results. 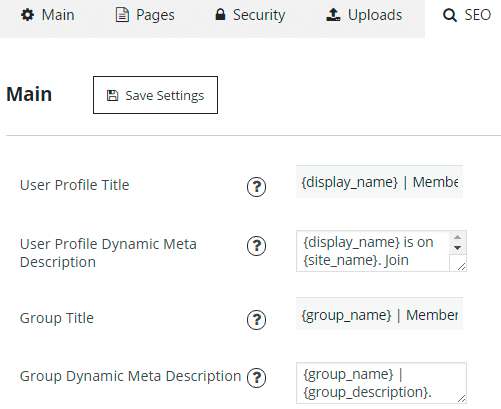 Group Dynamic Meta Description – specify a description of Group page. Search engines can pick up this description to show with the results of searches. Also you can check information about Integration with Contact Form plugin.